Cross Creek, Horizon Academy, Red River Academy, Specialty Boarding Schools or Not? You find yourself surfing the net. Your once happy baby, turned toddler progressed into elementary school then suddenly hit adolescence and something changed. But what was it? 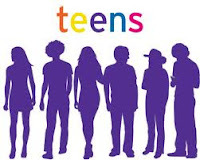 After all, your teen is smart, they are good looking, usually very athletic, capable of getting A's yet bringing home C's, you are getting reports that they are skipping classes, if they aren't skipping school all together - then you suddenly see a shift in their choice of friends.... what is going on? Some parents will think - typical teen - maybe it is. However when do you know when it is time to intervene? It always it! It is a parent's responsibility to know when safety trumps privacy. Keeping the lines of communication open, even when your teen clams up. It isn't easy, but talking is your road to finding out what is going on in their life. Many parents call about the old saying "tough love". What exactly is it? It was an organization that, I understand disbanded several years ago. Their philosophy of letting your child go - had some very good concepts, however many parents could not follow through, and with that - you would only empower the child. Finding that middle road can be difficult. Many cannot understand or grasp the concept of, tough love or not enabling the child to ruin or run the family unit. Enduring life with a teen that is running the home can result in many uproars, conflicts, arguments, battles, and sometimes psychical and verbal abuse. Tough love is exactly that: tough. Loving our children is unconditional, but we don't have to like what they are doing or how they are destroying their lives. You can literally love your child to death. You can actually do more harm when you believe you are helping or saving your child. Horizon Academy - Neveda - Southern Utah - Specialty Boarding Schools? Really? So, your teen is driving your crazy. You are at your wit's end. You have finally decided you need outside help. You have exhausted all your local resources. Local therapy doesn't help, heck, you can't even get your teen to attend. Your teen is failing in school, he/she is very smart yet doesn't want to attend school and believe they know it all. Many say, "typical teen", but as a parent, we know it is more than that. Where did our good kid go? Good kids making bad choices - and they don't need to be placed in an environment that will make them worse in my opinion - learn from what happened to me! Yes, I was more than thrilled to meet Anderson Cooper and must say I was humbled by his sincere concern for those that are victimized by others that are being destroyed online by vicious keystrokes. For those that don't know my story, it starts in 2000 and ended in 2006 with a landmark victory for Internet Defamation and invasion of privacy. My stories were written and published by Health Communications Inc (HCI - home of Chicken Soup for the Soup book series) and over the past decade, my mistakes and my knowledge has helped thousands of people and families to make better decisions for their teens and their virtual lives.